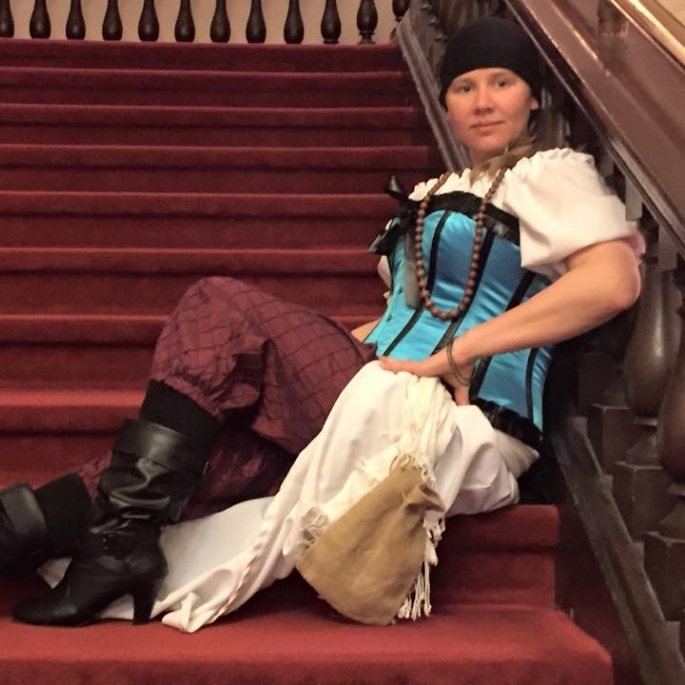 Bos’n Fay is a strong willed and tough pirate lass. Overcoming the crew and proving her worth, she has displayed her ferocity time and again. As Bos’n she maintains the ship, and manages the care and detail within the supplies and conditions that keep the crew afloat. Bos’n Fay will woo you with her smile, but be careful she doesn’t hold a dagger in her other hand at the same time! A faithful crew member through and through. Riley is brave and honorable, and can hold his own in a sword fight. He once saved the Captains life and since has been rewarded many treasures for his efforts. A little shy at times, Riley will converse with younger pirates and help get them excited for joining the pirate crew! Medic Mysty is the ships chief medic, and caretaker. After a battle she tends to the wounds of the crew. She is notorious for being able to remove limbs, but not so much for reattaching them. 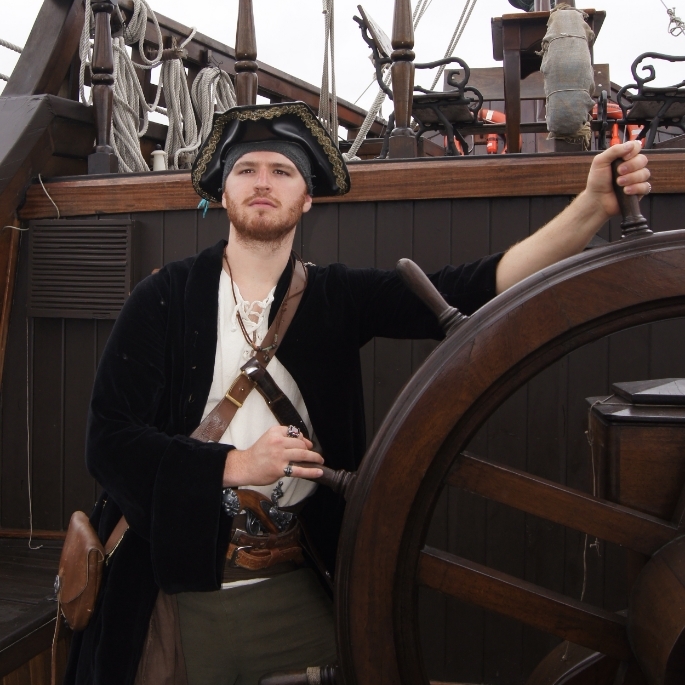 Mysty is faithful and hardworking and is often seen “branding” new crew members and handing out the crews treasure to little pirates. She dreams of a life more magical though and often speaks of fairies and dragons, from stories of old. Stop her to chat and she will fill your head with dream like images and stories. Sky and Tiki are macaws from the southern isles, and the most faithful feathered friends to the crew of the Northeast Buccaneers. These two Blue and Gold Macaws can be temperamental but are overly friendly on most days. Many days they can be seen on the shoulders of the crew, and occasionally visit with patrons to sit on their shoulders or arms for pictures. Both birds are very well behaved and love to be pet and talked to! Ship Mate Jen is one of the ships most important roles as she supplies and keeps stock of the crews materials. Jen runs the decks and does the majority of the trading on ship and on land when the crew comes ashore. She ensures the inventory levels are up to par and assists the Captain, Quartermaster, and other crew members with anything they might seek. As Mate on board the ship she knows what the ship holds, and continues to acquire more goods as needed. Jen is a huge help with items like bandanas, eye patches, and purchasing swords to arm the crew.